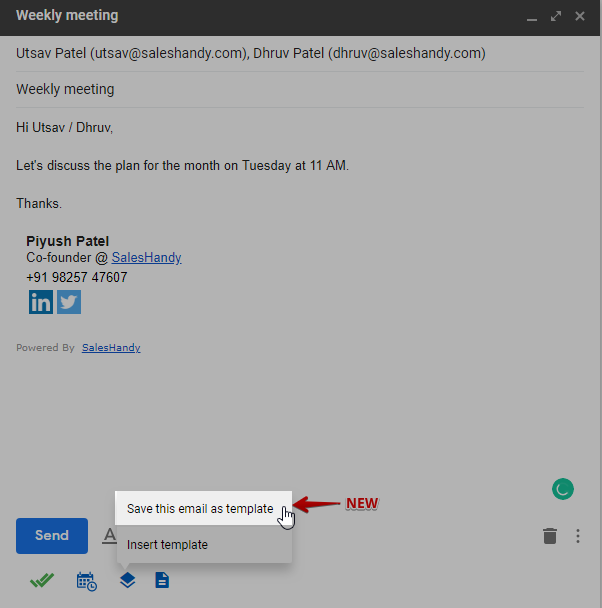 Gmail users can directly save the email content as the templates from their Gmail compose using our Chrome Extension. Open your gmail compose box and type your email. 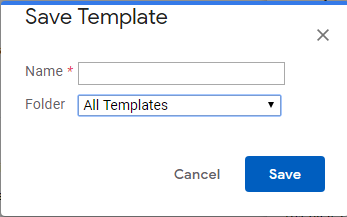 Select "**Save this email as template**" option. Once you click on "**Save this email as template**" option. Save template window will be opened. You just need to put Name of the templates and select the folder in which you need to save the new template. The templates has been saved.